A nice Spalding Babe Ruth Home Run Special heads up the list this week. Of all the Ruth gloves that have been sold in the last several months Iâ€™d say this was one of the nicer ones, featuring solid leather, a solid patch, and a clear Ruth stampings. Ruth became a Spalding (and Reach) endorser in 1927. Looking to leverage their investment, Spalding put Ruthâ€™s name on fielderâ€™s gloves, base mitts and catcherâ€™s gloves, and continued to do so until 1942. 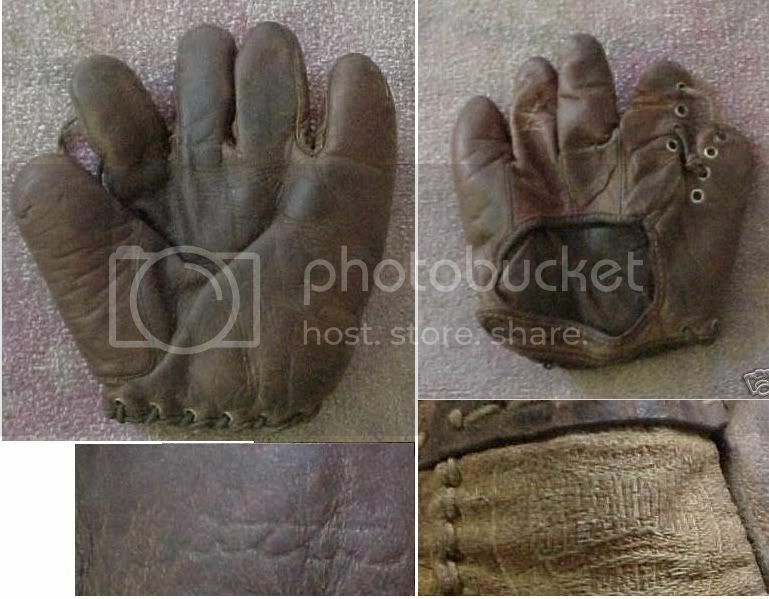 This particular gloves was bought by forum member HAL-CHASE for $975...congrats. Maybe you could offer some additional pics once you receive the glove.